The information provided here is for reference use only, and does not constitute the rendering of legal, financial, or other professional advice or recommendations compoundingpharmacyirvine.com (Irvine Compounding Pharmacy). compoundingpharmacyirvine.com (Irvine Compounding Pharmacy) hereby makes no representation nor any warranties of any kind in connection with the information provided herein, and hereby disclaims any other expressed or implied warranties, including the implied warranties of merchantability or fitness for a particular use or purpose. 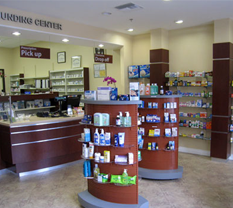 This Website presents information that compoundingpharmacyirvine.com (Irvine Compounding Pharmacy) is aware of, without implying that surveys or other formal evaluations were performed to create information presented in these pages. 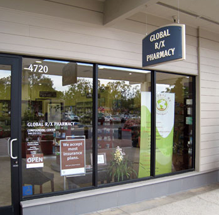 Nor does the listing of an organization in these documents imply any sort of endorsement by compoundingpharmacyirvine.com (Irvine Compounding Pharmacy) takes no responsibility for the products or tools offered by the organizations referenced in this web site, if any. This notice describes how medical information about you may be used and disclosed and how you can get access to this information. Please review it carefully.compoundingpharmacyirvine.com (Irvine Compounding Pharmacy) is required by law to maintain the privacy of Protected Health Information (“PHI”) and to provide individuals with notice of our legal duties and privacy practices with respect to PHI. PHI is information that may identify you and that relates to your past, present, or future physical or mental health or condition and related health care services. This Notice of Privacy Practices (“Notice”) describes how we may use and disclose PHI to carry out treatment, payment, or health care operations and for other specified purposes that are permitted or required by law. The Notice also describes your rights with respect to PHI about you.compoundingpharmacyirvine.com (Irvine Compounding Pharmacy) is required to follow the terms of this Notice. We will not use or disclose PHI about you without your written authorization, except as described in this Notice. We reserve the right to change our practices and this Notice and to make the new Notice effective for all PHI we maintain. Upon request, we will provide any revised Notice to you.compoundingpharmacyirvine.com (Irvine Compounding Pharmacy) is independently owned by Keshavr Amirghliozadeh, R. Ph, and Ziba Najafi, R.Ph. You have the following rights with respect to PHI about you:Obtain a paper copy of the Notice upon request. You may request a copy of the Notice at any time. Even if you have agreed to receive the Notice electronically, you are still entitled to a paper copy. To obtain a paper copy, contact the Privacy Officer, Keshavr Amirghliozadeh, R. PH at compoundingpharmacyirvine.com (Irvine Compounding Pharmacy).Request a restriction on certain uses and disclosures of PHI. You have the right to request additional restrictions on our use or disclosure of PHI about you by sending a written request to the Privacy Officer at the Pharmacy. We are not required to agree to those restrictions. Receive an accounting of disclosures of PHI. You have the right to receive an accounting of the disclosures we have made of PHI about you after April 1, 2009 for most purposes other than treatment, payment, or health care operations. The accounting will exclude certain disclosures, such as disclosures made directly to you, disclosures you authorize, disclosures to friends or family members involved in your care, and disclosures for notification purposes. The right to receive an accounting is subject to certain other exceptions, restrictions, and limitations. To request an accounting, you must submit a request in writing to the Privacy Officer at the Pharmacy. Your request must specify the time period, but may not be longer than six years. The first accounting you request within a 12 month period will be provided free of charge, but you may be charged for the cost of providing additional accountings. 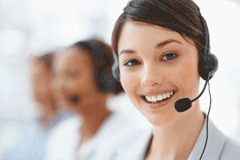 We will notify you of the cost involved and you may choose to withdraw or modify your request at that time. Business associates: There are some services provided by us through contracts with business associates. When these services are contracted for, we may disclose PHI about you to our business associates so that they can perform the job we have asked them to do and bill you or your third-party payor for services rendered. To protect PHI about you, we require business associates to appropriately safeguard the PHI.Communication with individuals involved in your care or payment for your care: Health professionals such as pharmacists, using their professional judgment, may disclose to a family member, other relative, close personal friend or any person you identify, PHI relevant to that person’s involvement in your care or payment related to your care.Health-related communications: We may contact you to provide refill reminders or information about treatment alternatives or other health-related benefits and services that may be of interest to you.Food and Drug Administration (FDA): We may disclose to the FDA, or persons under the jurisdiction of the FDA, PHI relative to adverse events with respect to drugs, foods, supplements, products and product defects, or post marketing surveillance information to enable product recalls, repairs, or replacement.Worker’s compensation: We may disclose PHI about you as authorized by and as necessary to comply with laws relating to worker’s compensation or similar programs established by law. Protective services for the President and others: We may disclose PHI about you to authorized federal officials so they may provide protection to the President, other authorized persons, or foreign heads of state or conduct special investigations. 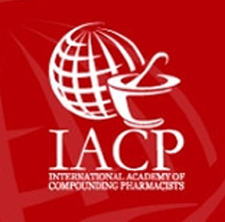 If you have questions or would like additional information about compoundingpharmacyirvine.com (Irvine Compounding Pharmacy)’s privacy practices, you may contact the Privacy Officer, Keshvar Zeinali, R.Ph. If you believe your privacy rights have been violated, you can file a complaint with the Privacy Officer or with the Secretary of Health and Human Services. There will be no retaliation for filing a complaint. As of April 14, 2003, we are required by the Federal Government to inform you of our Privacy Practice. Please read the following document and complete the form at the end of this document and either mail the completed acknowledgment to us or fax to 949-552-3113. Please print this page and keep it as your record of the Privacy Practice.